Become a Member of the NEAOSA Family! A Day Only Membership entitles individuals to attend the upcoming workshop only. Any non-student awaiting employment, music teacher, classroom teacher or administrator may purchase a day only membership. Day Only Registration can be accessed by clicking the link to the left or by using the drop down menu under Join NEAOSA and clicking Day Only Registration. A Retiree membership entitles individuals to attend all 6 workshops at a reduced rate. This only applies to people who are retired. Registration options can be accessed by clicking the link to the left or by using the drop down menu under Join NEAOSA and clicking Regular Membership Registration. A student membership entitles all full time students who are not practicing educators to attend all six workshops offered during the year. Only applicable with valid student ID. Registration information can be accessed by clicking the link to the left or by using the drop down menu under Join NEAOSA and clicking Student Registration. First-time attendees, are guests of NEAOSA. NEAOSA guests may attend the workshop free of charge without a sponsor. Just complete the guess pass form. If you have attended a previous workshop, in order to use the NEAOSA guest program and attend the workshop free of charge, a member colleague must sponsor you. Members can sponsor someone only once each year, and prospective members can only be sponsored once. The guest pass form can be obtained on site or can be downloaded by clicking here. * If you plan on attending at least 3 workshops during the year, it is more economical to purchase a regular membership as opposed to buying 3 day only memberships. The cost of 3 day only memberships is $120.00, whereas the cost of a regular membership is $95.00, and if you purchase the regular membership on or before September 1, the cost drops to $85.00. Please consider becoming a national AOSA member. ​You may register for AOSA National Membership by clicking here. 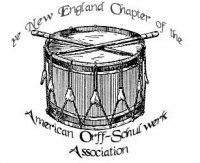 ***Important*** The New England Chapter will give any chapter member a $10.00 refund off the New England Chapter membership if he or she joins AOSA for the first time or after being absent as a member for 3 or more years. To obtain the refund, one must submit a copy of their AOSA membership receipt to the Chapter treasurer. Again, as stated above, each year, the chapter also awards up to three $500 scholarships to its members to help defray the cost of attending the AOSA National Conference. Check out the AOSA National Conference Scholarship page by clicking the button below.